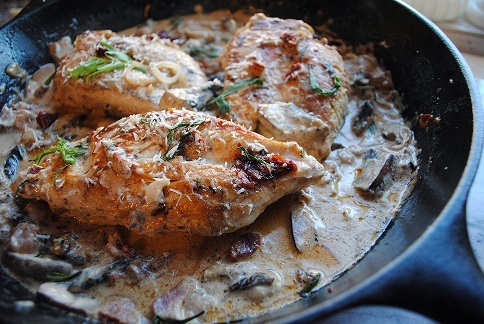 The restaurant guests really love this Chicken with Brandy Cream Sauce Recipe. 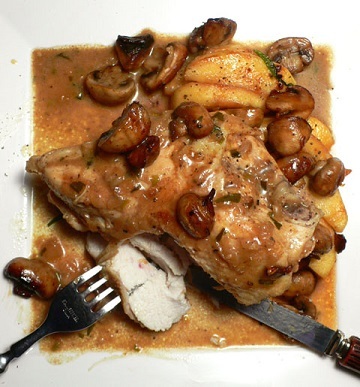 Maybe it's the brandy, but I really think it is the combination of ingredients that makes this restaurant recipe a winner - a favorite restaurant recipe. You will see that the recipe calls for "seasoned flour." All this really means is whatever seasonings you like added to flour. Often this is simply adding salt and pepper. Besides the brandy, the sun-dried cranberries are a very important "secret" ingredient. They are a perfect addition to this dish and part of the reason this was a secret restaurant recipe, until now. 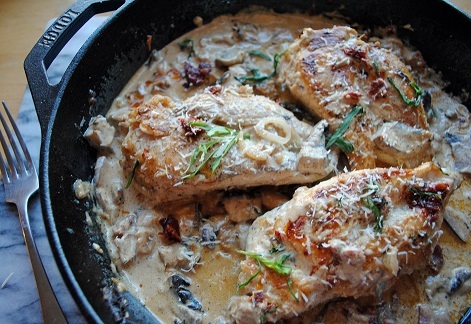 To hold: place the chicken breasts in the pan with the sauce. To serve: place the chicken breasts on dinner plates and pour an equal amount of sauce over each, then garnish with the orange zest. Enjoy your restaurant chicken recipe and the company of those you share it with! Try all these restaurant recipes.